From master of suspense Jo Gibson comes two heart-stopping novels of romantic obsession--where the love never dies. It kills. . .
Michael Barton is smart, sweet, gorgeous--the total package. Which is why some of the girls have decided to have a little contest. Whoever hooks up with Michael first will be the winner. There's just one problem. One of the girls has been harboring a secret crush on Michael for years. She'll do anything to be his girlfriend. She'll play the game. She'll win his heart. She'll beat the competition. . .to death. Michael Barton has experienced the dark side of love. He has survived the advances of a psychotic stalker. 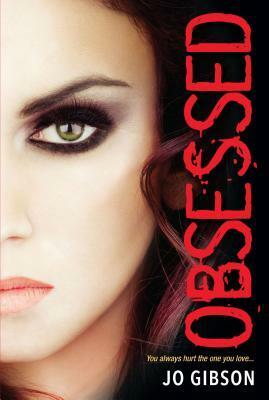 He has endured her deadly game of obsession. And now he is free from her web of lust and lies. But Michael has a surprise waiting for him. His secret admirer is still out there. Watching. Waiting. Plotting her next move. And if Michael thinks he can escape her this time, he's wrong. . .dead wrong. Romance: 1/10 In a crazy kind of way. I have no idea how to review this . Obsessed confused the hell out of me. From the summary you would think this story was going to be from the perspective of Michael Barton. I mean it seems like this whole story is based on his life. Instead this story was in third person. Strike One. I tend to not read books in 3rd person by authors I do not already know. The reason being it weird to read, it feels like I’m being told the story and not able to get into it. In the first chapter the MC’s car breaks down and she sees a car coming. When she realizes she knows the person (a man we are not told the name of) the MC says “ “No houses, just warehouse buildings that wouldn’t open until morning.” Having the “thriller” part at the beginning of the book is annoying. This isn’t a TV show it’s a book. It doesn’t draw me in especially if you are feeding me the plot the whole time! Also this whole idea of it at first started interesting….I mean we read about girls who kind of stalk guys all the time. But this was just so URGH! I’m seriously just tired. I didn’t understand why she so Obsessed with Michael. We really didn’t get enough background? Was she just crazy? Strike Three The page breaks in this was so weird. Honestly this book will just confuse you…if you don’t believe me look at the other reviews/rating here. I get what the author was trying to do it just failed horribly.